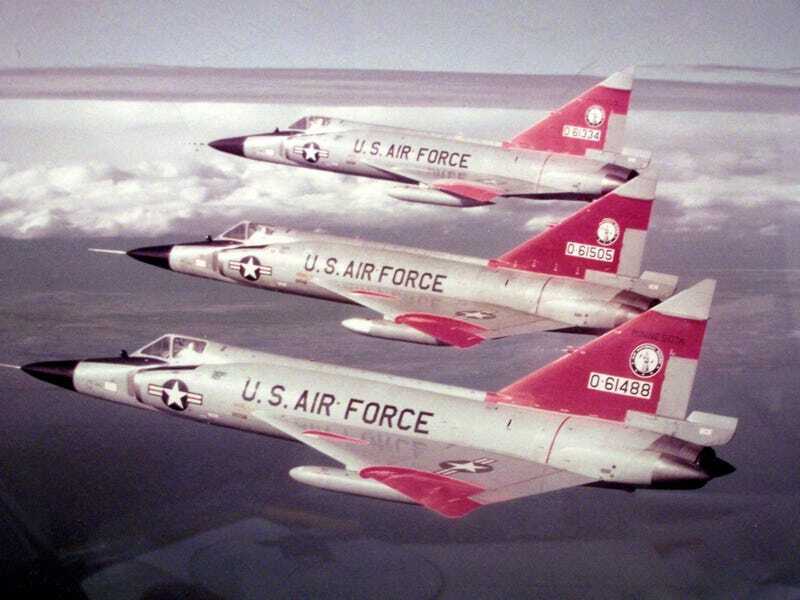 The Convair F-102 Delta Dagger entered service in 1956. Its main role was to intercept Soviet bomber fleets during the Cold War, and it was the first operational supersonic interceptor and delta-wing fighter of the US Air Force. The Delta Dagger was retired in 1979 after a production run of 1000 aircraft. Compare that to the F-22, of which only 195 have been built.